Asheville area tourism was strong overall in 2016 and the outlook is good heading into ’17, according to tourism officials who met last week. At the Buncombe County Tourism Development Authority’s monthly meeting last week on the second floor of the Hyatt Hotel on Haywood Street, officials offered a number of updates. -The Buncombe County TDA is moving ahead on renovating office space at 31 College Place on the corner of College Street and Town Mountain Road. Officials announced that the Asheville Independent Restaurant Association and the Asheville-Buncombe Regional Sports Commission would also locate offices in the complex. The TDA broke off from the Asheville Area Chamber of Commerce last year and is moving out of chamber offices on Montford Avenue. –Stephanie Brown, head of the Asheville Convention & Visitors Bureau, reported that the year ended with an overall occupancy rate of 73.8 percent for hotels in Buncombe County. That put Buncombe County in second place in the set of markets it compares itself to, second only to Charleston. That’s a solid performance even as several new hotels opened in the county, Brown said. (The months of May and August were the only two months of negative hotel occupancy in the county, she said.) Two other measurements of the strength of the local tourism market also increased: the average daily rate (up 7.6 percent) and the revenue per room (up 9 percent). Tourism officials are keeping a close eye on these key measurements as the Asheville area continues to see a hotel building boom which will add hundreds of new rooms to the market. Downtown has seen the most construction action the past few years, but new hotel proposals are popping up along other key locations, including Airport Road, Tunnel Road and Biltmore Village. -The Asheville Regional Airport is finalizing numbers, but it looks like the airport will set another record for passenger service in 2016. The airport is on a roll – it served a record number of passengers in 2015, with 392,713 passengers enplaned and 394,324 passengers deplaned, which was a 4 percent increase over 2014, which was also a record year. What’s driving the increase? There are a number of factors, but a big one is the fact that the low-cost carrier Allegiant Air designated Asheville as a hub two years ago and and based two airplanes, crews and a maintenance facility at the airport, and it continues to add flights at the Asheville airport. In the meantime, the airport is completing a major runway renovation and building its first-ever parking deck. -The 2018 World Equestrian Games will be held in Tryon next year and promise to be a giant economic boon for Western North Carolina. Asheville area tourism officials are already working hard to figure out how to benefit. The event will be held at the new Tryon International Equestrian Center facilities. It’s only the second time the event has been held outside Europe. When it was held in Lexington, Kent., in 2010, the 14-day event had a $20 million impact in Kentucky, according to the Economic Development Partnership of North Carolina. Diana Pierce, vice president of sales for the Asheville CVB, said that CVBs in Asheville, Charlotte and Greenville, S.C., have met and formed a local organizing committee to work with Tryon officials. The goal is to encourage visitors to explore the region, according to Pierce, who said the event is expected to draw 500,000 visitors who may come from 70 different countries. 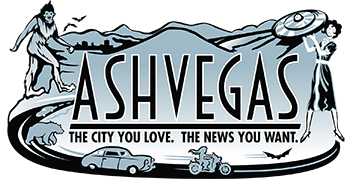 -The Asheville CVB has a new website, where visitors and tourism partners can find a variety of information that formerly had been spread over a couple of different sites. Check it out. –Hospitality Outlook, 1-3 p.m. on Feb. 24 at Diana Wortham Theatre: The event is open to CVB tourism partners and will feature Chad Church from STR delivering a report and forecast. (There will be a small roundtable right after the big event. -The CVB and the Asheville-Buncombe Sports Commission will host elected officials at 4 p.m. on March 3 at the US Cellular Center. –May 7 tourism summit, a half-day event with a featured guest speaker at Renaissance Hotel in downtown.